The time has come to branch out from my usual garden background and try something new. I had a more raw and industrial backdrop in mind and I knew exactly where to go. I took a trip down to the Titanic Quarter over by the docks to snap some street style shots for the blog. 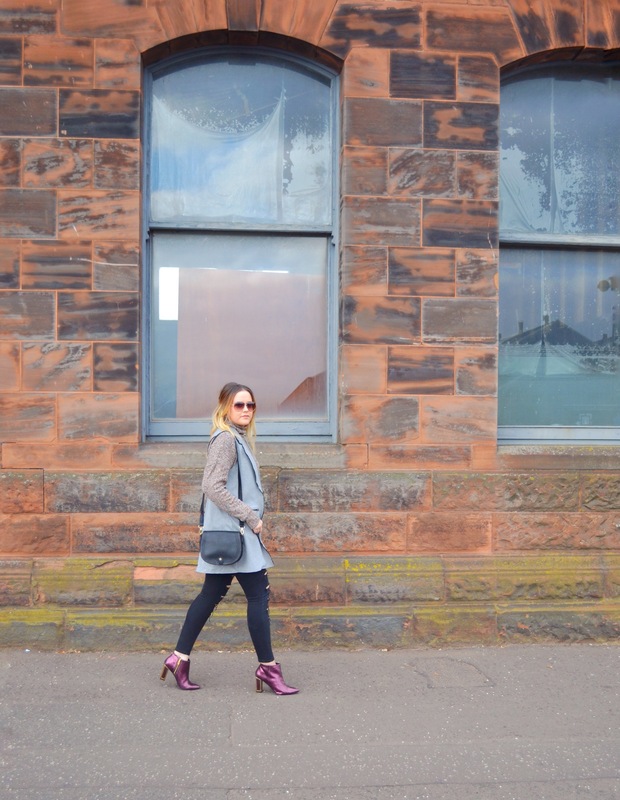 I was getting ready to head into town for some retail therapy and decided to shoot a last minute OOTD. I love the architecture within the marina location and in particular, the drawing offices. I’ve previously attended a fashion show in the iconic building and it is one of the oldest buildings in Belfast. The beautiful red brick proved pretty for a walk by shot. Wearing my trusty Topshop sleeveless jacket, I paired it with my oversized polo neck and torn black skinny jeans (also from Topshop). 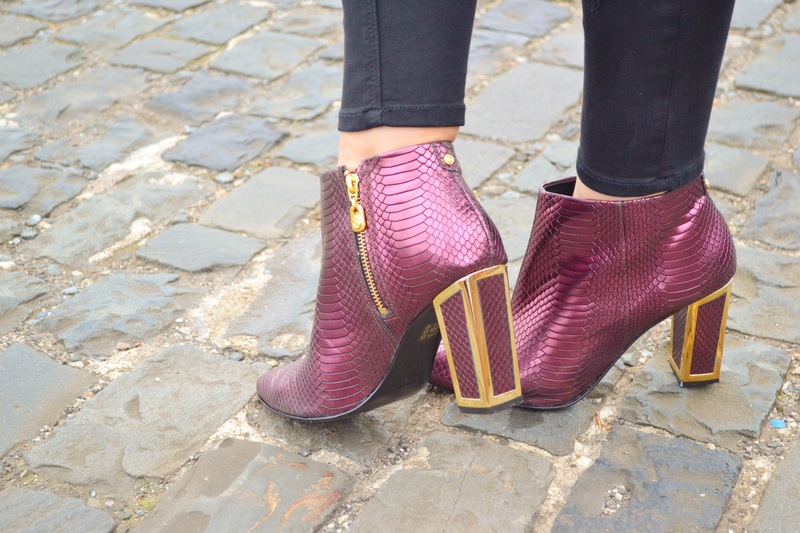 I have recently became obsessed with British designer, Kat Maconie and invest in a pair of her fabulous ankle boots for Autumn. 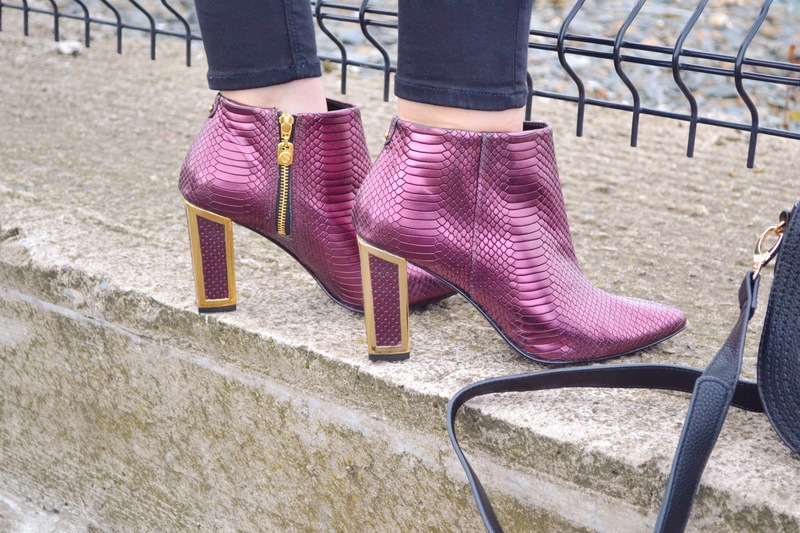 I wanted to try a new style and these gorgeous burgundy snake skin boots (black version available here) are the chosen pair. I absolutely adore all things metallic and the gold frame heel adds such a unique detailing to them. They are incredibly comfortable to wear and go with so many looks. They are quite pricey but I will get great wear out of them season after season. I don’t know if you remember but last week I had a lovely dinner with the girls from Next and they kindly gifted me with this black Chloé dupe. 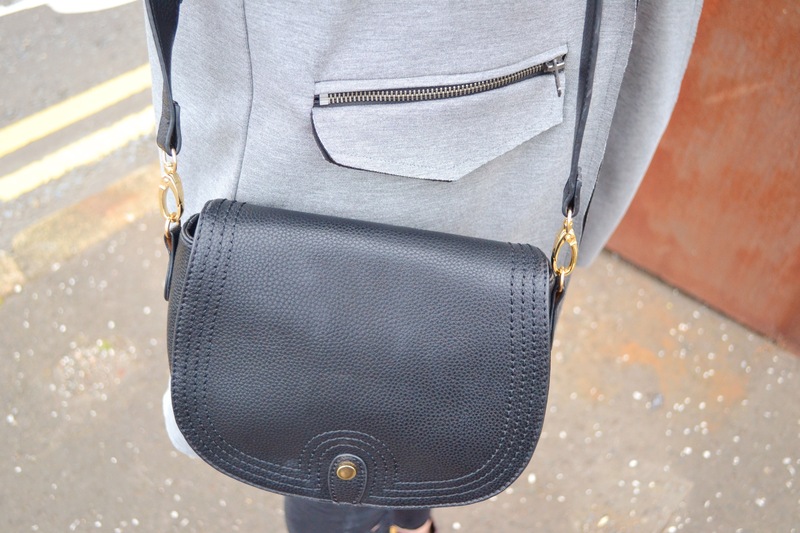 It was the perfect accessory to wear with my outfit and it surprisingly holds a lot for a petite bag. I know I’ll be wearing this little beauty lots during Autumn, the saddle trend is making a big impact within the style scene. Is it possible to get Christmas morning excited about a pair of boots!? Expect to see and hear lots about them on my blog and Instagram. Hope you’re all having a great week.